We manufacture, stock, calibrate and refurbish a full range of OPTICAL FLATS from 1.0″ diameter to 12.0″ diameter and polished single or double-sided to Lambda/4, Lambda/8 and Lambda/16 flatness. All are suppllied in secure wooden boxes with Interferograms and Certificate of Conformance. 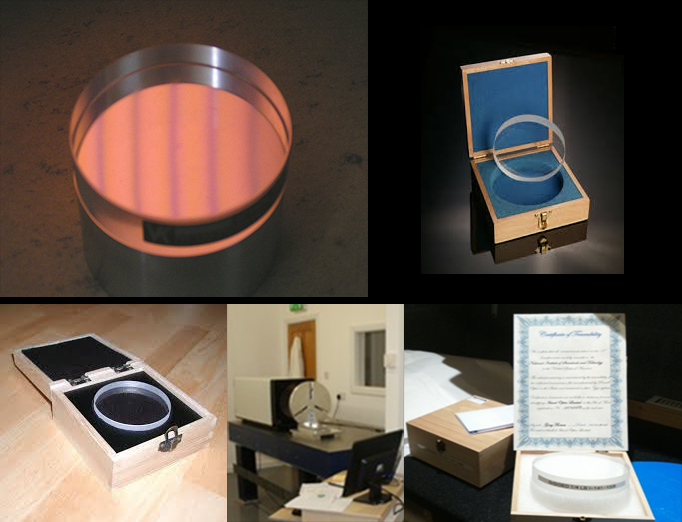 With our 12″ diameter Interferometer we can calibrate and certificate to Lambda/20 full traceable to N.I.S.T. Standards.